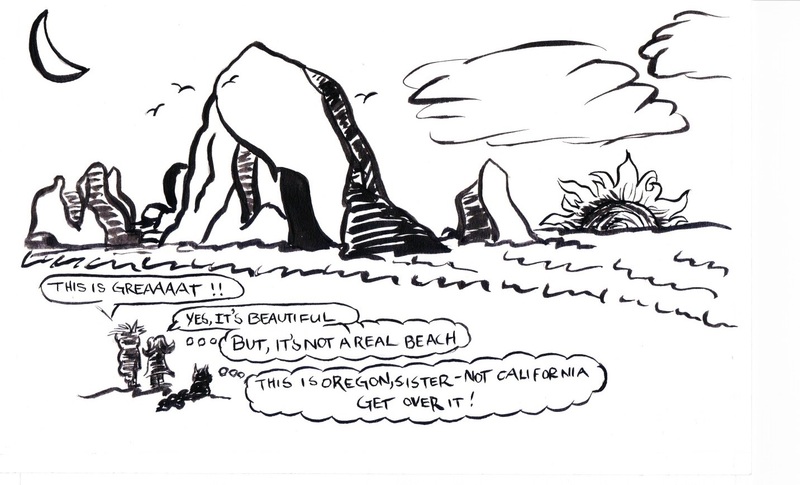 This is a comic l put together while thinking about how much my relationship with my little sister has changed over the years. As you can see, I was not a very nice older sister. 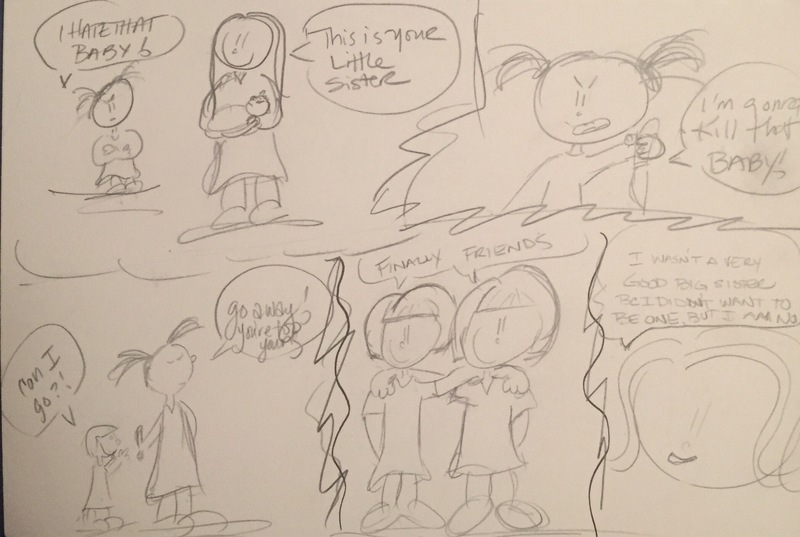 In fact, I hated my little sister when she was born and we had an extremely competitive relationship growing up. I’m happy to say that we finally became friends in adulthood. In fact, I am lucky enough to call her one of my best friends. 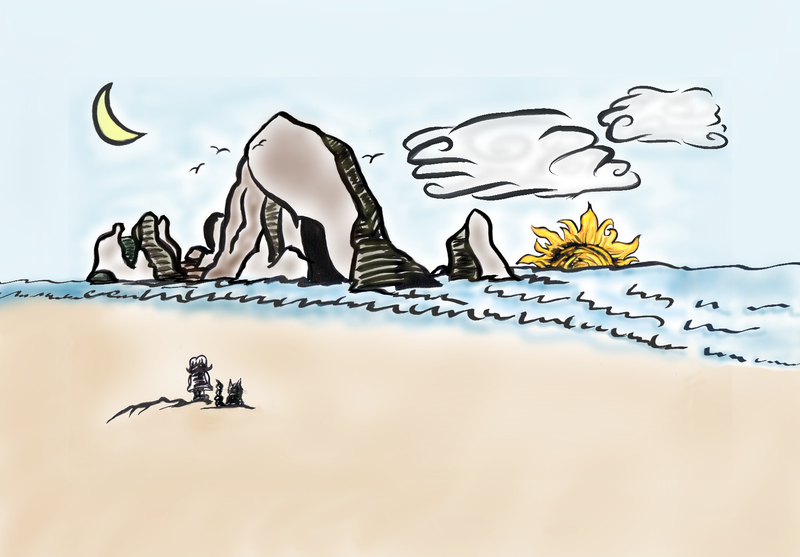 I originally drew this in pen and ink for a mini comic I made at the Center for Cartoon Studies (CCS) last summer. 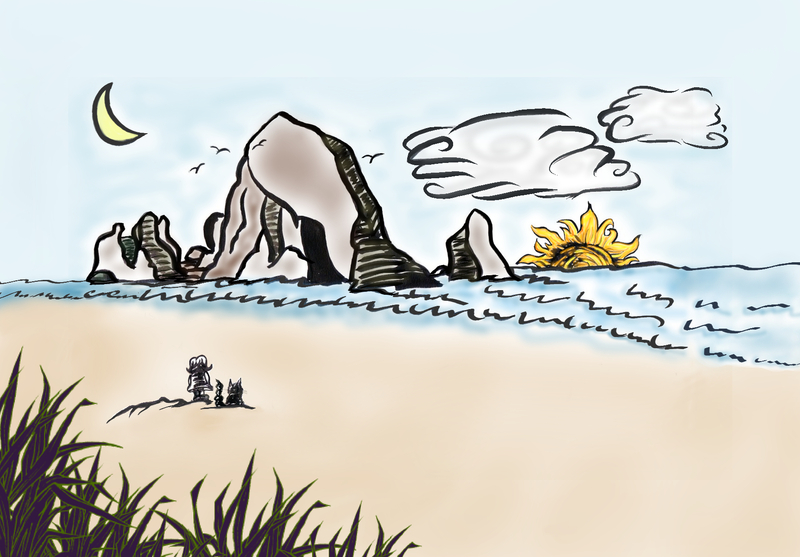 In the newest versions, I applied my digital drawing program (Clip Studio Paint) to it for coloring and adding grass. 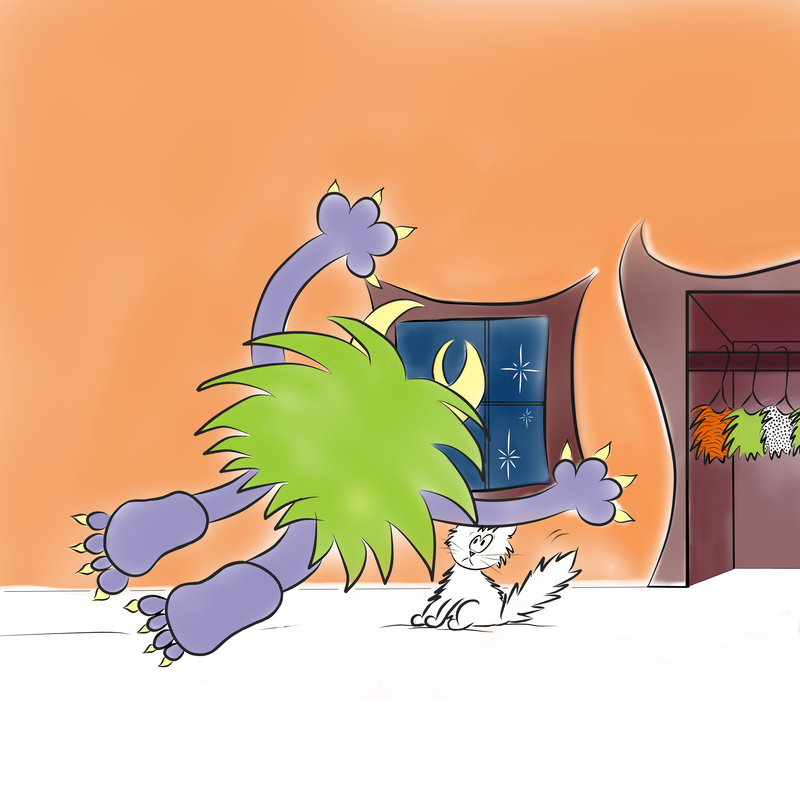 When Wolfie sees the cute little white cat in his room, he tries to jump on him. 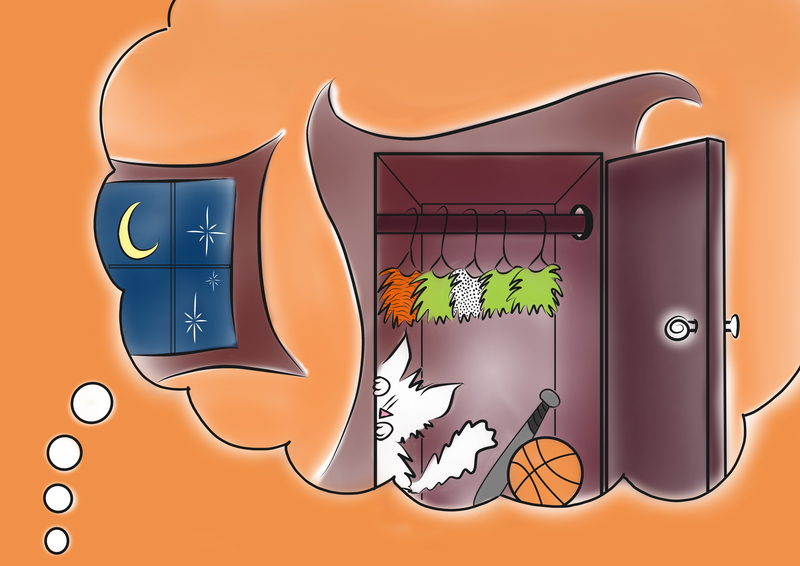 In this illustration, Wolfie dreams of a cute white cat hiding in the closet.